You will get the most sparkling clean furniture...or else it is free! If this is the type of cleaning you want. We invite you to try us out Right Now! You’ll be glad you did! First you and I will evaluate your furniture’s needs. “Every Item Must Be Treated Differently” Then we’ll decide what will be the best approach and why! Each manufacturer recommends a specialized cleaning method, and best of all, you’ll know up front what we can and can’t do! This way there’s no surprises! Here are some things to be concerned about Furniture fabrics. Furniture comes in various type of fabrics, it is important that we determine what type it is, This gives us the ability to clean it properly. Even if you don’t choose us. Please be sure when you get a quote the quote, make certain that the company is taking this under consideration! 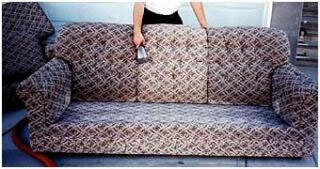 Here’s a final note: If they use the wrong cleaning agents they will ruin the fibers and possibly the entire furniture. Call Metro 817-453-4141 and request an Estimate today!